Description: In Souther Accents Mag. Pg186, Dec.2006 Show House. Our masculine chandelier. 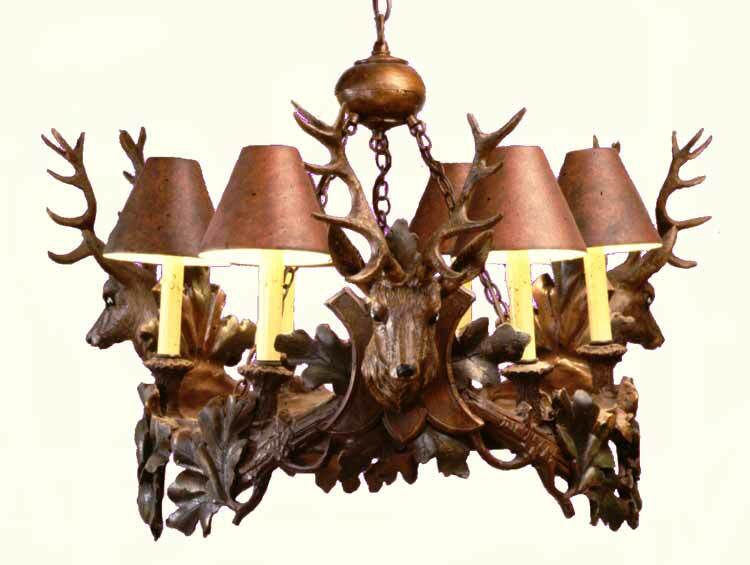 Alternative to the antler chandelier Also: 4 head,36"=$1,650; 5 head, 39"=$2,062; 6 head,=$2,475; 8-head-2 tier, 39"x 40" = $3,710. Resin steel 60 watt bulb…………… Shades extra.